Light and bright 3-Bedroom/2-Bath + Den condo in The Terraces! Upgraded throughout with granite counters, island kitchen, tons of cabinets, neutral tile & carpet, walk-in closets, raised ceilings, and upscale fixtures and lighting. Bonus office space with arched window opening. Master features two closets, dual sink vanity, walk-in tiled shower, garden tub, linen, and bidet. Huge indoor laundry room and pantry. 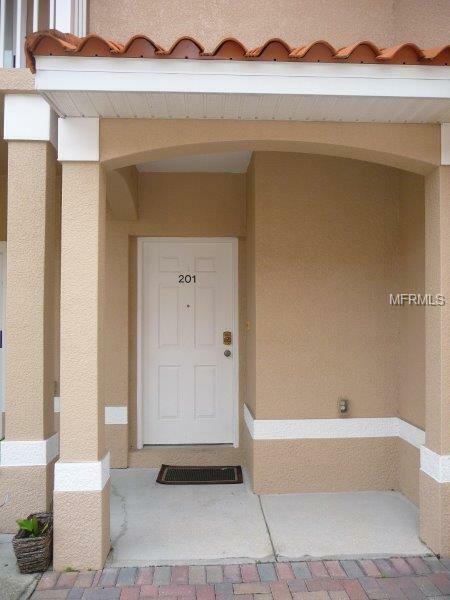 Two spacious tiled balconies, one-car garage with opener, epoxy floor coating, and storage closet. Paver sidewalk and side courtyard entry. Buyer to verify all information and dimensions. Condo Association approval and background check of buyer required.